Skype team released a new full version of Skype 2.5 Gold for Windows Mobile. They've fixed a bunch of bugs, and smoothed and refined the user experience on new devices. 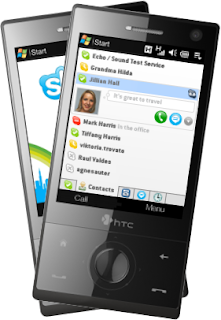 Skype 2.5 for Windows Mobile allows you to make free Skype-to-Skype calls, IM for free and call phones and mobiles. On this version there's a noticeable step up in sound quality when you call from a WiFi zone. Skype 2.5 for Windows Mobile works on all Smartphones and Pocket PC phones. You can download it directly on to your phone and install it straight away, or you can save it to your PC and transfer it on to your Windows Mobile device.